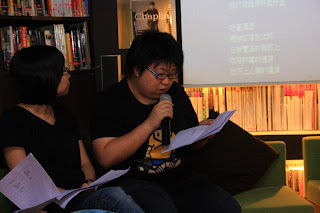 The Association of Stories in Macao(ASM) is an energetic publishing group that established on the purpose of publishing poetry from and about Macao. 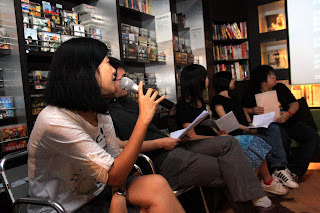 In September, Kubrick Poetry invited the ASM group to do a reading in the bookstore. 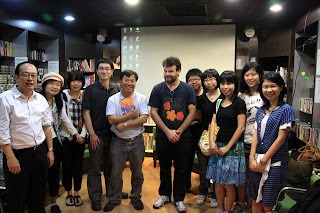 They displayed multi-languages talents and the the passion to write and translate poetry. Most of them are young intellectual graduated having English major and master degree. They are Lili Han, Chris Song, Petra Seak, Iris Fan, Hilda Tam and Amy Wong. 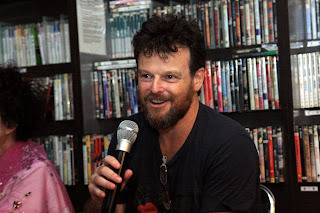 Under the leadership of Christopher(Kit) Kelen, the ASM has published at least one poetry book for them. 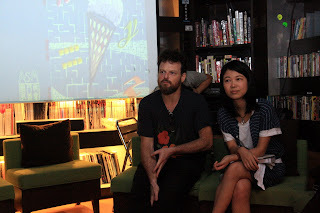 The most recent publication is “I roll the dice- contemporary Macao poetry” edited by Christopher Kelen and Agnes Vong. This is an ambitious anthology which contains works by more than one hundred poets. The passion from the ASM is obvious and the quality of the poems from the ASM is definitely a surprise. Are they in a better writing environment than our local poets? Probably no. They told me there is not even one decent bookstore in Macao. 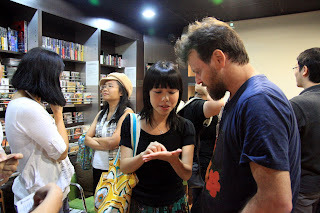 Most of the bookstores in Macao are upstairs bookstores with very limited space and small collection of books. So what makes the difference? Good leadership is one of the reasons. Another reason is they all involve in translation and they all have published at least one poetry book. Writing is not purely writing for most people. We write because of something. 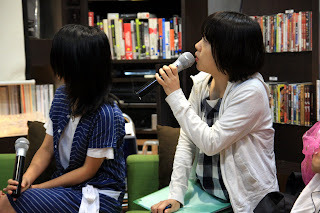 It can be for self-expression, for publication purpose or for a friend or for a lover. 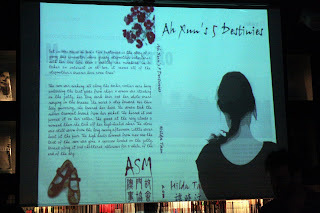 As time goes, the ASM will grow and will leave a legacy to the Macao literature in the Macao museum if there is one in the future.